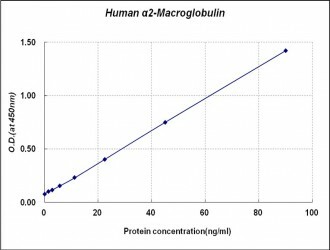 α2-Macroglobulin (α2M), is a 720-kDa homotetrameric glycoprotein composed of four identical 180 kDa subunit. 2M shares with other alpha-macroglobulins, like the complement components C3 and C4 and the pregnancy zone protein PZP, an extraordinary binding capacity for a variety of ligands. This allows the alpha-macroglobulins to serve as humoral defense barriers against foreign peptides in the plasma. 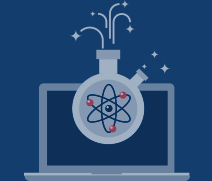 2M interacts and captures virtually any proteinase, often referred to as a panprotease inhibitor. In the brain of Alzheimer's disease (AD) patients, 2M also has been localized to diffuse amyloid plaques, supporting an important role for a2M in AD etiopathology.